Kick off your visit on the 12th (Sun): get engrossed in the history at National Dr. Sun Yat-sen Memorial Hall, have fun at Miramar Entertainment Park, then take in the natural beauty of Beitou Hot Spring, and finally look for gifts at Dihua Street. On the 13th (Mon), you'll have a packed day of sightseeing: tour the pleasant surroundings at White Sand Bay, then take a stroll through Wulai, and then don't miss a visit to Elephant Mountain (aka Nangang District Hiking Trail). To see reviews, other places to visit, and other tourist information, you can read our Taipei travel itinerary planner. Jacksonville, USA to Taipei is an approximately 30-hour flight. Due to the time zone difference, you'll lose 13 hours traveling from Jacksonville to Taipei. When traveling from Jacksonville in March, plan for slightly colder days in Taipei, with highs around 70°F, while nights are about the same with lows around 59°F. You'll set off for Taichung on the 14th (Tue). On the 14th (Tue), stop by Yichung Shopping Street. 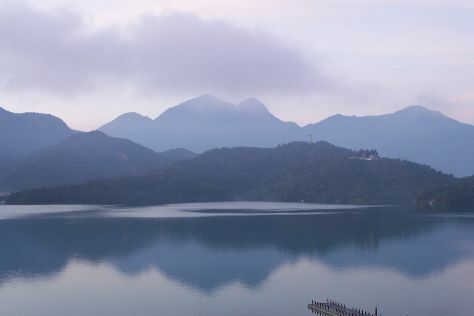 Keep things going the next day: steep yourself in history at Wen Wu Temple and then explore the activities along Sun Moon Lake. For where to stay, reviews, traveler tips, and other tourist information, read our Taichung holiday planner. Traveling by car from Taipei to Taichung takes 2 hours. Alternatively, you can drive; or take a train. In March in Taichung, expect temperatures between 70°F during the day and 55°F at night. Wrap up your sightseeing on the 16th (Thu) to allow time to drive to Tainan. 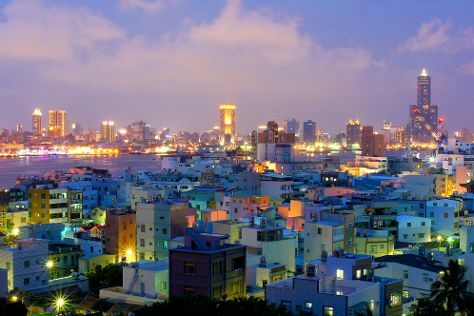 The oldest city in the country, Tainan stood as the island's capital during feudal times. Kick off your visit on the 17th (Fri): admire the striking features of Chihkan Tower (Fort Provintia) and then examine the collection at Chimei Museum. To find maps, where to stay, more things to do, and more tourist information, go to the Tainan trip generator. Getting from Taichung to Tainan by car takes about 2 hours. Other options: drive; or take a train. Plan for somewhat warmer temperatures traveling from Taichung in March, with highs in Tainan at 81°F and lows at 66°F. Wrap up your sightseeing on the 17th (Fri) early enough to drive to Chiayi County. A rugged landscape scattered with villages and vast plains of untouched nature, Chiayi County stretches between sea and mountains on the southwestern coast. On the 18th (Sat), look for gifts at Wenhua Night Market and then admire the landmark architecture of Alishan Linye Village & Huiyisenghuo Village. On the 19th (Sun), you'll have a packed day of sightseeing: admire the masterpieces at Southern Branch of the National Palace Museum and then trek along Eryan Ping Trail. To find maps, photos, traveler tips, and more tourist information, read Chiayi County vacation trip planner. Drive from Tainan to Chiayi County in an hour. Alternatively, you can drive; or do a combination of train and taxi. Expect slightly colder temperatures when traveling from Tainan in March; daily highs in Chiayi County reach 70°F and lows reach 55°F. Wrap up your sightseeing on the 19th (Sun) to allow time to drive to Pingtung. Mostly serving as a base for exploring Kenting National Park, Pingtung enjoys a pleasant, subtropical climate, sandy beaches, and a friendly atmosphere. Kick off your visit on the 20th (Mon): tour the pleasant surroundings at White Sand Bay and then admire nature's wide array of creatures at National Museum of Marine Biology and Aquarium. To find traveler tips, reviews, ratings, and tourist information, refer to the Pingtung tour planner. You can drive from Chiayi County to Pingtung in 1.5 hours. Alternatively, you can drive; or take a train. Plan for somewhat warmer temperatures traveling from Chiayi County in March, with highs in Pingtung at 81°F and lows at 66°F. Finish your sightseeing early on the 20th (Mon) so you can take a train to Kaohsiung. A small trading town in the 17th century, Kaohsiung now stands as a sprawling metropolis, its harbor representing the largest on the island. Start off your visit on the 21st (Tue): enjoy the sea views from Cihou Lighthouse, head off the coast to Cijin Island, then look for gifts at The Pier-2 Art Centre, and finally explore the activities along Ai He (Love River). Keep things going the next day: ponder the world of politics at Kaohsiung Main Public Library, then make a trip to The Dome of Light, then admire the landmark architecture of Dragon Tiger Tower, and finally contemplate the waterfront views at Lianchi (Lotus) Lake. To see photos, reviews, where to stay, and other tourist information, use the Kaohsiung sightseeing planner. Kaohsiung is just a stone's throw from Pingtung. Expect a daytime high around 81°F in March, and nighttime lows around 66°F. Cap off your sightseeing on the 22nd (Wed) early enough to travel to Hualien. 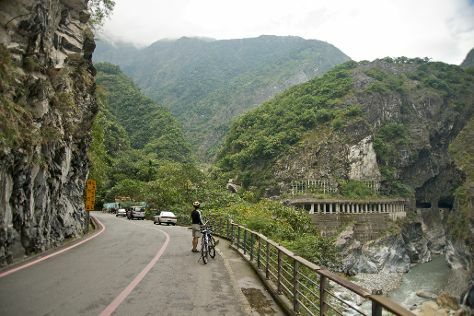 Nestled between the sea and the mountains, Hualien boasts a number of attractions, both natural and manmade. Kick off your visit on the 23rd (Thu): browse the eclectic array of goods at Zhiqiang Night Market, then explore the striking landscape at Ching-Shui Cliff, and then tour the pleasant surroundings at Taroko Gorge. For other places to visit, photos, ratings, and other tourist information, read Hualien travel planner. Fly from Kaohsiung to Hualien in 3 hours. Alternatively, you can drive; or take a train. Wrap up your sightseeing on the 23rd (Thu) to allow time to travel to Taipei. Do your shopping at Ximen Red House - Ximending and Miramar Entertainment Park. 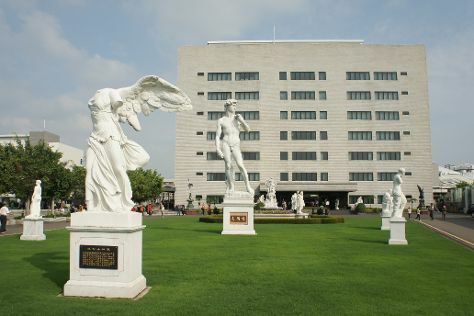 Museum-lovers will get to explore National Palace Museum and National Revolutionary Martyrs' Shrine. Change things up with these side-trips from Taipei: Xinbei (Chiufen (Jiufen Old Street) & Yeh Liu Geo Park). Explore Taipei further: wander the streets of Ximending, contemplate the long history of 2-28 Peace Park, make a trip to Chiang Kai-Shek Memorial Hall, and witness a stunning natural landmark at Beitou Hot Spring. To see reviews, ratings, maps, and more tourist information, read our Taipei itinerary planner. Traveling by flight from Hualien to Taipei takes 2.5 hours. Alternatively, you can drive; or drive. Wrap up your sightseeing on the 27th (Mon) to allow time to travel back home.